I don't like the barricaded streets in my neighborhood. 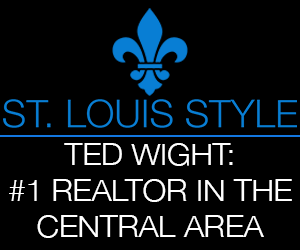 They were one of the big negatives we considered before ultimately buying a home in Forest Park Southeast. The St. Louis Fire Chief doesn't like them. Closing St. Louis residential streets has a long history. The most comprehensive look at the issue was recently published here: Streets Not Through: An Analysis of the Blockages and Barricades to the St. Louis Street Network. In my own inquiries and efforts to get the barricades removed, I have been told that a majority of residents must sign a petition and a request to remove the "temporary" barricades and restore our street grid must be accompanied by a neighborhood-wide traffic plan. Why? Currently our streets funnel BJC/WU traffic through FPSE, concentrating the traffic impact. Our closed streets also encourage people to drive faster and ignore stop signs as they know no traffic will be entering onto Newstead. Opening our streets give people more choices. It would also immediately eliminate half of all traffic on the closed blocks, as drivers would no longer have to drive down a block and back, but rather enter at one end and exit at the other. The barricades divide our neighborhood and define a "right" and "wrong" side. Investment in streets east of the Newstead barricades will continue to languish as long as they are in place. It's time that they be removed entirely. This solution is not only the right one, but one that will prevent the latest issue with the street closures. Recently, I have confirmed with more than one source that the newest street barricades in FPSE do not meet spec. They're not reflective, and possibly not tall enough, presumably presenting a danger to motorists. The proposed solution? One option is to erect reflective posts topped by reflective signs between the barricades. So how did this happen? That's just the question I Tweeted the other day. The response from the Washington University Medical Center Redevelopment Corporation (WUMCRC) was "Bollards were installed by STL City, not WUMCRC, after residents expressed desire to keep streets closed". So Park Central Development Corporation funds paid for the barricades, residents expressed a desire to keep streets closed and the City installed the non-spec barricades. My question is how did residents express their desire to keep the streets closed? In what way were residents consulted? When was the last time residents were asked about the closed streets? If a neighborhood consensus is need to remove the barricades, why isn't some kind of wider consensus needed to install new barricades? Who is in charge of the process of governing a neighborhood? When I learned that the Park Central Development Corporation FPSE Infrastructure Committee was considering replacement of the Schoemehl pots that had sat at the end of my street for decades, I pushed for a larger conversation. I got nowhere. The committee had just enough funds to buy prettier barricades. And I generally like them. They appear less permanent and make it obvious that the street does indeed go through. There wasn't enough money to consider alternatives such as a mid-block neck-down to slow traffic, or bump-outs at the end of the block, or a one-way exit to the block. Speed bumps aren't allowed in the city. Highway barricades had been added to the pots a couple years ago, again, at the request of a very small number of neighborhood residents. At some point after the spheres were installed, the highway barricades were removed. So what now? Who will pay for reflective signage? Who will decide what's added and when? Who is in control the most elemental part of our city, its streets? It's almost attractive to think that our seeming inability to address basic quality of life issues in our city is the result of simple inertia, or no one caring. It's incredibly frustrating when it instead feels like those who should lead such conversations purposely avoid them.